Japanese Steakhouses are probably my favorite place to eat. I love the Japanese soup and salad! The ginger salad dressing may be my favorite thing…. no, it’s the Japanese -soup. Oye, I can’t decide! I seriously love both of them, and if I could afford to eat at a Japanese Steakhouse every night… I probably would. Until then, I have learned to make two of my favorite Japanese dishes… Japanese soup and carrot and ginger salad dressing. 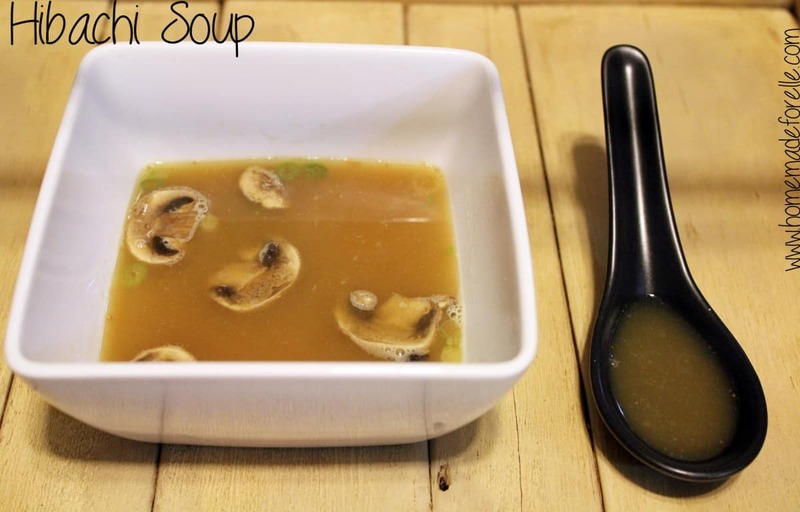 Creating Japanese soup a very similar process to making homemade chicken broth. Fill a stock-pot with water (about 12 cups). Roughly chop your veggies. Add onions, carrots, celery, green onions, mushrooms, ginger, a bulb of garlic, jalapeno (if you like things spicy! ), and salt and pepper. Bring to a boil, cover half-way with a lid and reduce heat to medium. It needs to simmer at least an hour. The longer you simmer, the richer your soup will be. I let my soup simmer about 2 hours. Once the soup is simmered, strain broth from veggies, and return broth to pan. 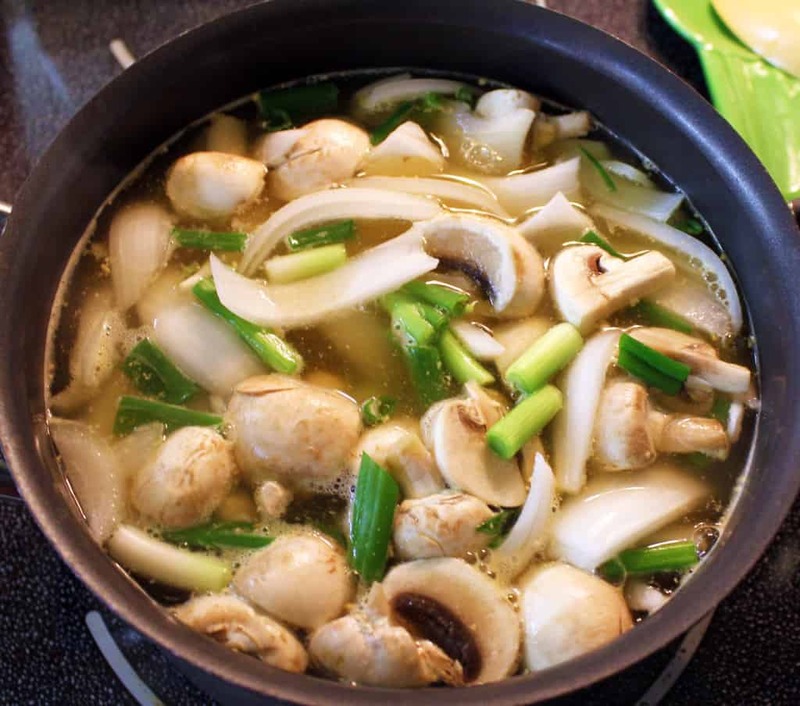 Bring back up to medium heat and add sliced mushrooms and green onions, and allow to simmer 10 more minutes. The soup is salty, rich and satisfying. My two-year-old stole my bowl and finished it off! In a blender, combine carrots, garlic, onion, ginger, water, liquid aminos, and rice wine vinegar. Blend 20 seconds or so, and while still blending, gradually add your sesame oil and then olive oil. Taste as you are adding the oil. Add olive oil to your own preference and desired consistency. Store in a glass jar or Tupperware and refrigerate. This dressing has a different texture than the ginger dressing I have had in Japanese steakhouses, but its flavor is very similar. 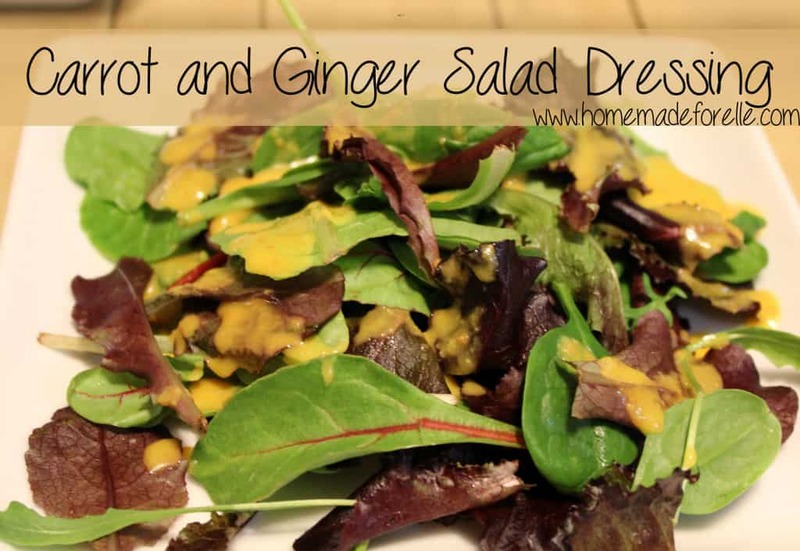 If you like ginger, you will love this salad dressing! Roughly chop vegetables. Add veggies, water, and spices to a stockpot and bring to a boil. Cover half-way with lid and reduce heat to medium. Simmer for 1 or more hours, until broth has reduced by half. Add more water if necessary. Strain broth from vegetables and return broth to pot. Heat broth to medium and add sliced mushrooms and diced green onions and simmer 10 more minutes. Add first 8 ingredients to a blender and blend for 20 seconds. While blending, add sesame oil. Gradually add olive oil, 1/2 cup at a time, tasting in between to check for desired consistency and flavor. What is your favorite Asian food? I’m curious as to how the soup is salty with no salt added? 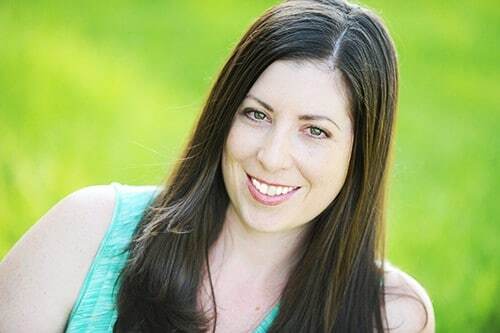 Hi Lacey, thanks for stopping by my blog! The chicken and beef bouillon add quite a bit of salt and flavor, so this soup shouldn’t need any additional salt. 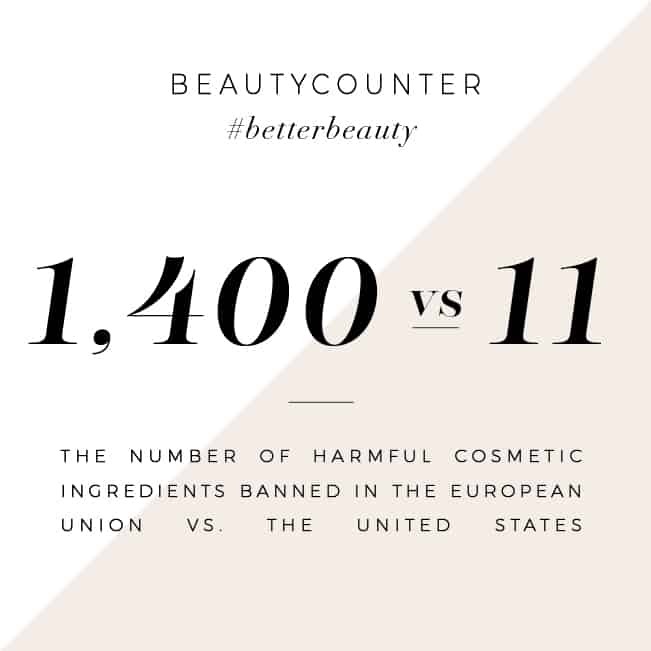 There is no chicken or beef bouillon listed in your recipe. Should they have been? The original recipe I posted did include chicken bouillon, but I modified it to incorporate more natural ingredients. It turns out great with the flavor of the vegetables, and the bouillon isn’t necessary. My family loves Japanese steakhouses also. I know I will be giving this soup and dressing a try. I am off to pin this! I am so glad you brought these recipes to the In and Out of the Kitchen party. I look forward to seeing what you bring next week!